South Africa’s ANC leader Ramaphosa urges unity as Zuma booed – Royal Times of Nigeria. Cyril Ramaphosa, the new leader of South Africa’s ruling ANC, has said the party must address the “dysfunction” in its ranks and unite at all levels. Mr Ramaphosa told a large rally in the south-eastern city East London that the party had become deeply divided through factionalism, patronage and corruption. He was elected to replace President Jacob Zuma as party head last month. But Mr Ramaphosa did not address calls to immediately replace the president, who was booed as he took his seat. Mr Zuma’s term in office is not scheduled to end until elections in 2019. The leadership battle caused fierce political infighting, raising fears of a party split before the 2019 election. 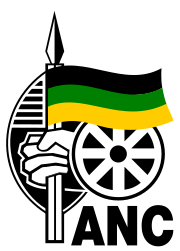 In his speech Mr Ramaphosa vowed to “confront people who are trying to divide the ANC”, calling for unity, renewal and a change of culture.